I'm a big fan of Christmas but I'm not overly drunk on seasonal cheer to not clue in that some people just aren't. Here's a Christmas treat for those of you who are more Scrooge than Santa, more Grinch than Rudolph. 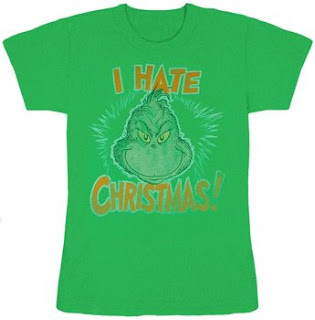 Wear your bah, humbug sentiments fashionably with this wicked tee.